You might think you love milk, but you don’t love milk like Colt McCoy loves milk. 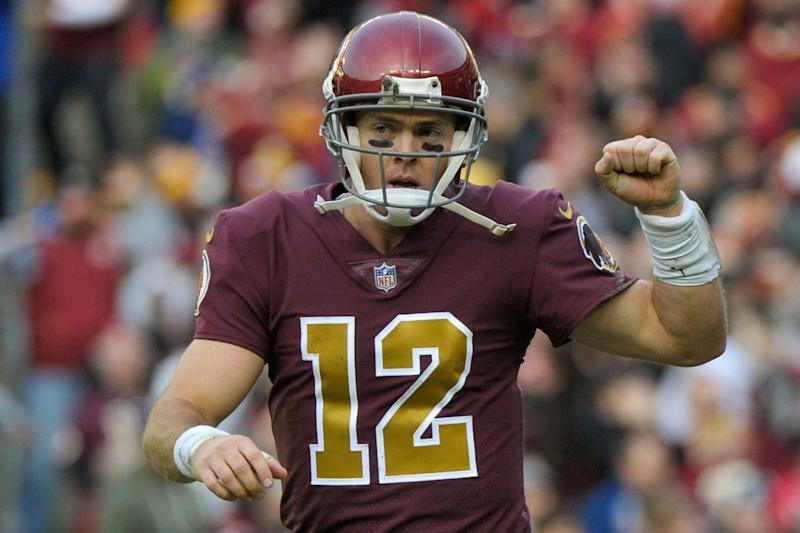 In the most random comments you’ll find today, Washington Redskins coach Jay Gruden revealed that McCoy, the former star Texas quarterback, enjoys his milk. Probably too much. At the NFL’s owners meetings on Tuesday, Gruden said he thinks McCoy drinks a gallon of milk a day, and he doesn’t believe it’s pasteurized milk. That’s ... odd. And probably unhealthy. "He drinks a gallon of milk every day. ... I think it's the milk that's not pasteurized, either. I think it's right out of the teat." “This guy is a nutjob,” Gruden added. The subject came up because McCoy was spotted last week at an Indy car race on crutches. His season ended last year with a broken leg, and he recently had a minor procedure on it according to NBC Sports Washington. Gruden said he was surprised considering McCoy should have strong bones, with all that milk he drinks.